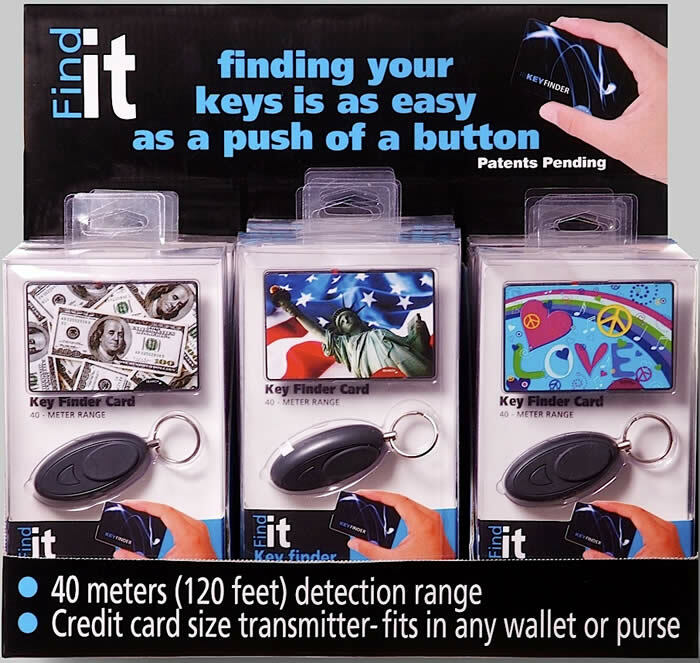 What makes our key finder the most advance key finding system available? Convenience - The Find It! System is made of a transmitting and receiving units. The transmitting unit is designed in a shape of a thin credit card ( 2.9 mm) that can fit in any purse or wallet. That means that you can now find your lost keys, not only in your home but anywhere you go. Technology - The Find It! System relies on the latest RF detection technology which ensures that your keys will always be found, while at the same time no "False Alarms: will ever be heard.